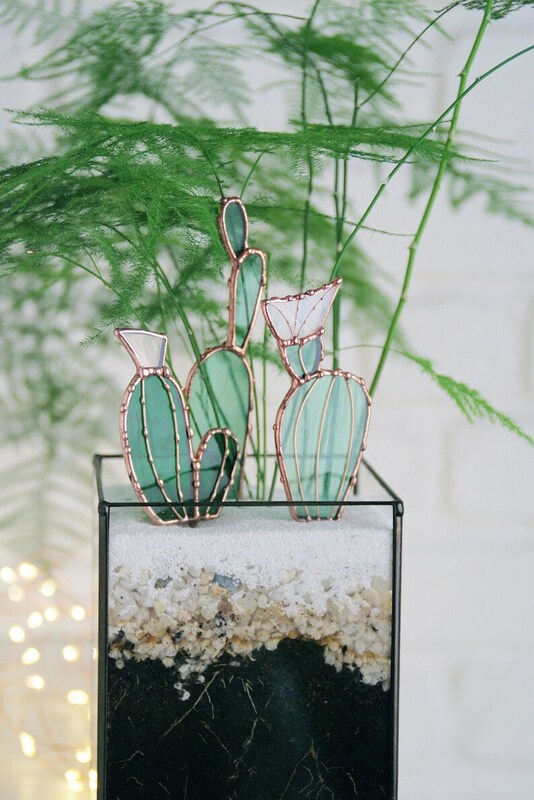 A perfect low price gift for cactus lover. 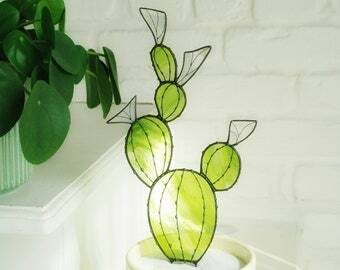 Using the stained glass technique cactus are lightweight and delicate. 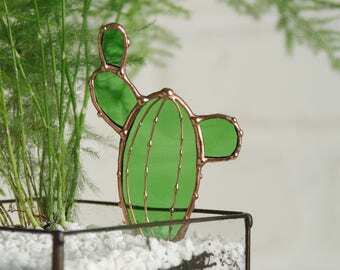 They are made of transparent glass, the sun can pass through it and play with the different colors. Glass colors : deep green to pale green (according to the choice). (!) Be careful the colors may vary between reality and photos, depending of your computer. 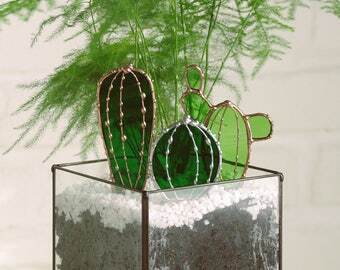 Each glass cactus is made by hand and on order. 🎁 Sets = attractive prices !!! (!) 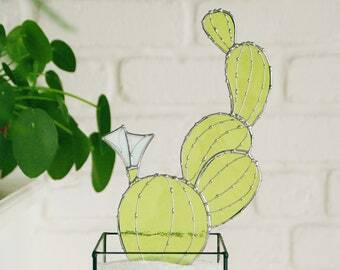 If you want to order a set please indicate letters cactus of your choice in the commentary area when ordering. 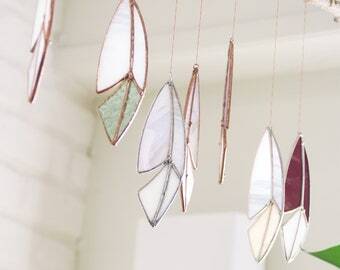 Glass bunting. Stained glass. Sun catcher. Colored glass. Wall decor. Window decor. 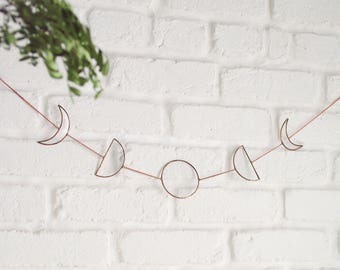 Hanging decor. 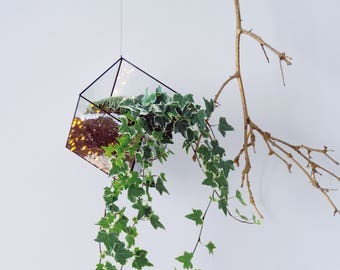 Geometric garland. beau travail, il à trouvé sa place facilement devant une fenêtre, vivement le soleil. Glass feather. Stained glass. Sun catcher. Glass mobile. Wall decor. Wall hanging. Window decoration. Gift. Colored glass. 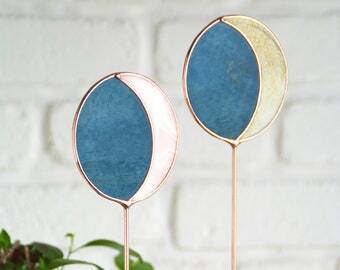 Glass moon phases. Sun catcher. Wall decor. Handmade. Copper love. Wall hangings. Stained glass. Boho. Lunar. Home decor. Handmade. Gift. 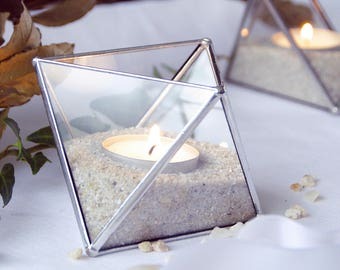 Geometric candle holder. Geometric terrarium. Glass terrarium. Rustic decor. Wedding. Stained glass. Candle party. Valentin's Day. Planter. 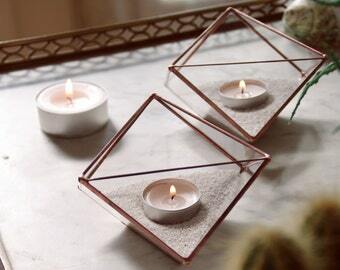 Geometric glass candle holders. Sacred geometry. Gift. Valentin's Day. Geometric terrarium. Stained glass. Candle. Succulents. Home decor.